The voting for the unofficial casting call for “world news with diane sawyer” will end on Friday, February 5th at 17:00 hrs eastern US time. If’n ya taint voted yet, vote now here. 2. Nobody has a chance to get the real announcer job at World News with Diane Sawyer as the job has long ago been ably filled and because this is an unofficial and very silly contest. OK, the floor is yours. Have fun! Click HERE to listen to the nominees then please come back to vote below in the comment box. As always, thanks for visiting the voxmarketising blog. If you haven’t already, we (well me really) hope you’ll subscribe using the orange RSS button on the top right column of this page. It’s free and every time someone subscribes to this blog, an angel gets its wings (hey, worth a shot ;). How’s that for an informative, succinct headline? After that time, the judges will whittle all the fake auditions (faux-ditions, if you will) submissions down to their 10 best; voting will then begin. No, you won’t get the real job and no there is no prize except for bragging rights. If you haven’t yet submitted your faux-dition (you lazy so and so! ), you can read all the details here on how to submit. We’d love to hear your take on the job! And if you think you’re too cool or too talented to submit for a phony auditionâ€¦you’re not. You’re just a yella bellied chicken! I have been talked in off the ledge (so to speak) on this forum and on others regarding yesterday’s post about whether to continue with the Unofficial Voice Over Casting Call for World News with Diane Sawyer. Last night, during the debut, there WAS a new announcer, ending the decades old reign of the great announcer Bill Rice. I wasn’t sure, given the circumstances then, if it would be in good taste to continue the fun event. I am told (repeatedly and unanimously now) it is in perfectly good taste so we shall carry on and gladly accept your continued submissions probably up until the first of the year (January 1, 2010). Tell a buddy, bring a friend… game on for faux-ditions, baby! Well color me surprised and perplexed. 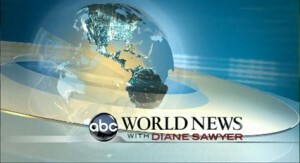 I did not expect that with so many changes NOT being made (set, theme) that ABC News would replace Bill Rice with a new announcer for World News with Diane Sawyer. I said so. I meant it! This made me feel that we would be in good taste running our unofficial audition for the announcer job for World News with Diane Sawyer. It would be fun, harmless fun which is the point of the whole exercise. I didn’t see the first show tonight but reports are coming in that indeed there IS a new announcer. No video yet as I think we have to wait for the west coast feed to be done at 9:30 PM ET. I’ll update it when I find it. I am stunned and feel kind of bad about the whole thing. Nobody and I mean NOBODY was gunning for Bill’s job with this silly event and in fact I think to a person we all respected his work. But somebody at ABC decided on a new voice and made that call. So should we continue with the faux-ditions or is it now in bad taste? Is it a matter of ‘that’s the way our business goes’ or should we, as peers show more respect? Kudos to the new person who got the gig. I hope it turns out to be one of my friends who has kept a great secret. Were we merely being naively prescient with this new outcome or are we now dancing on a great announcer’s career if we keep this going? Seriously, give me your thoughts! P.S. 12/22/09: Here is the first video I could find of the new open. During my travels and travails today, I saw the news on my phone of the death of legendary radio broadcaster Paul Harvey. I’m heart sick for the loss of a broadcasting era with Paul’s passing. Nobody wrote news copy like Paul Harvey. 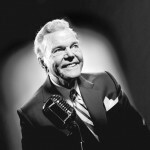 Nobody had the on-air delivery of Paul Harvey and rarely did anyone’s broadcast stop the scanning of the radio dial like Paul Harvey News and Comment. The cadence, the volume, the articulation and yes even the dramatic silence. He was every true broadcaster’s joy to listen to including the famous “Rest of the Story” segments and even his live commercials. I never heard of Husqvarna Chain saws before I heard about them on Harvey’s broadcasts…the Bose Wave…Wal-Mart….I didn’t just today read about his sponsors….this list is just off the top of my head, so memorable were his spots for me. What other modern day national radio broadcaster made you remember a commercial like that?! The broadcasts were old school, not in relation to the newsman’s age but rather to his style. And maybe that’s the thing that will be most missed â€“ the style of the Paul Harvey broadcast and all that that involved. He was the most listened to man in broadcasting – literally. Most young people won’t get what Paul Harvey’s broadcasts meant to the fabric of America. They have their own ways to gather the news and that’s as it should be. But his is an historic broadcasting passing that most won’t understand today but hopefully will as time passes and as history is considered. I’m pleased in an odd way that I’m ahead of the curve on this oneâ€¦but what a sad curve it is to lead. Thanks Paul and God bless your Angel too. Requiescat in pace.